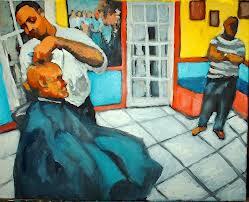 The Barbershop: Shape-Ups and Short-Cuts to Life. | AfroMadu. The Barbershop: Shape-Ups and Short-Cuts to Life. The barbershop. 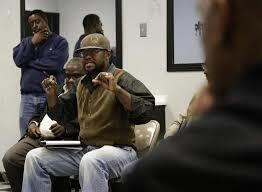 The “town hall” for most inner city African American men. Where you walk out a little sharper in every aspect of the word. The barbershop is similar to a gathering around a fire place, or even a conference table. New stories to tell, accomplishments to share, or controversy to discuss. From the Eagles quarterback issues, to the Stand your ground law in Florida, everything is discussed in the barbershop. Barbershops are almost like second families. This explains the guilt African American men feel when they “cheat” on their barbers. Not only do you catch up on the latest news, but you gain a relationship- a trust with someone. Putting this person in charge of the first thing a person will notice about you before you say a word. Your grooming can make or break an encounter with anyone, and for the African American male your barber is in control of that. Not only are there discussions and haircuts taking place in the barbershop. But for young black boys some morals are gained. Rule number 1: Address the entire as shop as a whole upon arrival. That’s includes the barbers AND people waiting for a cut. Not doing so is deemed as disrespectful. But this rule can also be transferred into the workplace, always acknowledge the presence of other people in the room. You never know who may be there. Neglecting this rule can have you waiting for hours, time that could’ve easily been saved if you just clarified who you wanted to cut your hair. If you’re just sitting there quietly everyone will assume that you have already spoken to someone. This rule I learned from experience. Learn the types of haircuts there are to get. You just saying “yeah that’s fine” to anything can leave you looking like buckwheat for 2 weeks. This rule I’ve also learned from experience. If you look closely these rules resonate everyday in your life. The way you engage in conversation as you enter a room says something about your presence. Very important in job interviews. Your clarity in haircut description can also transfer into the workforce. When you need tasks completed efficiently and the way you imagined, details can ultimately get you a promotion, or get you fired. Lastly, the tip is also a life lesson. Display your appreciation for any service you receive. A sure fire way to receive the same service a second time, or a third time. People always appreciate recognition of their good work. 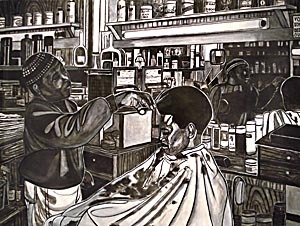 To the African American man the barbershop is a pseudo-sanctuary. Life lessons are learned, opinions are formed, and beautiful relationships are built. So the next time you walk into your local barber shop let “shape-up” take on a whole new meaning. Previous PostUS Embassy Liquidation!Next PostJesse Jackson Jr. Sentenced 30 Months in Prison.